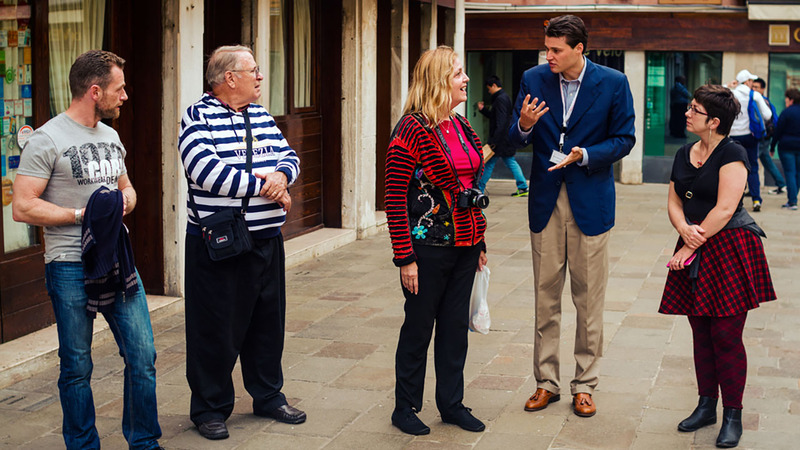 Get a comprehensive view of the city, from top sights to hidden palaces, on our local-led Venice walking tour. Skip long lines at St. Mark's Basilica for a guided tour inside. Combining big-name sights and hidden corners, this Venice walking tour takes you to the heart of the city in just 3 hours; giving you a broad view of the history, culture and character of the Floating City. Led by an expert local guide (Venetians do exist! ), you’ll start by the Rialto Bridge. Hear how the structure was considered so audacious in its engineering that critics at the time predicted it would fall (it’s still standing, 420 years later). Drop by the Rialto Fish Market to hear about the city's fishermen before veering off the beaten path into Cannaregio; one of the loveliest, most authentic areas of Venice. We’ve carefully chosen the stops on this tour to give you a real insight into the city. 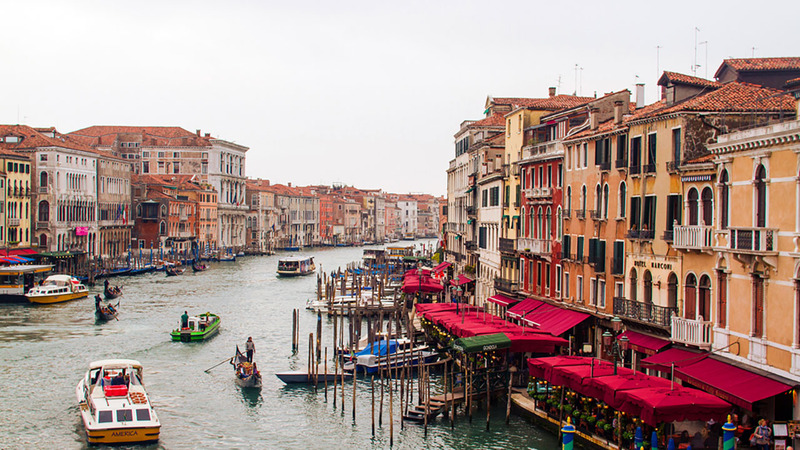 Sure, you’ll see the Rialto Bridge, but you’ll also delve into quiet streets, pass peaceful canals and go beyond the areas that visitors usually see. This is where Venice is hiding its best architecture and secret stories – and that’s what we’re out to find. 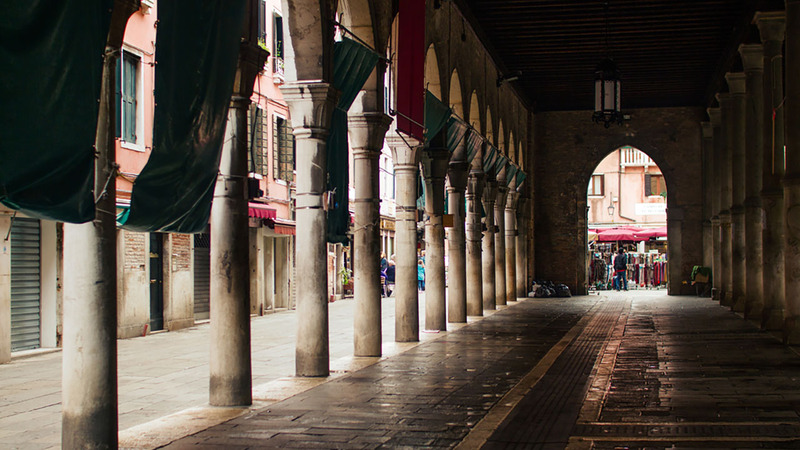 As you wind through Venice’s hidden alleyways, your local expert will regale you with tales of the city’s past and present. Curious about real estate prices? Or how they handle flooding? Now’s your chance to ask a real insider! And since your group is so small, with a maximum of 18 people, there’s no reason to be shy. While the atmosphere of Venice is best experienced on a walking tour of its streets and canals, there are some sights you really can’t miss. St. Mark’s Basilica is top of this list, as long general access lines usually attest. With pre-reserved tickets, you’ll get straight inside for a 30-minute tour with your guide. Learn how the relics of St. Mark arrived here by dubious means, admire its incredible gold mosaics and understand why the church’s east-meets-west architecture is a perfect representation of the city of Venice. The best is yet to come! 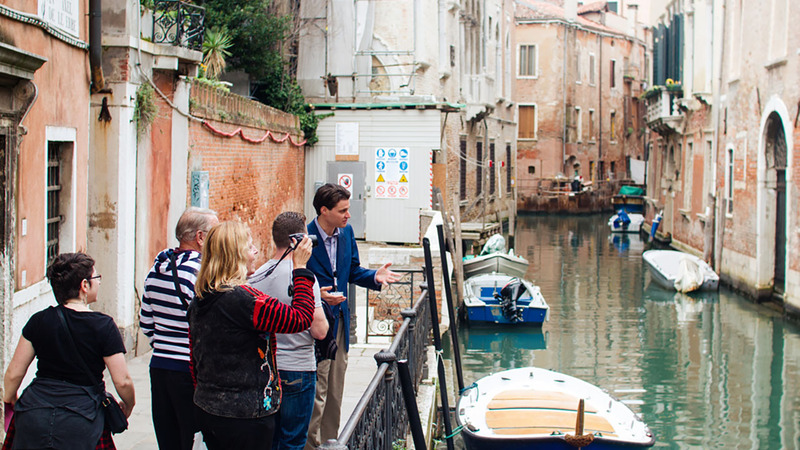 At the conclusion of your tour, your local insider will leave you in the expert hands of a professional gondolier. Climb onboard a traditional Venice gondola for a half-hour excursion through the city’s canals. Sit back and enjoy exploring the city as it was meant to be seen – from the water! This is your time to relax, unwind, and enjoy Venice at its best. And with no more than 5 other people on your boat (max group size of 6) it’s sure to be every bit as romantic as you had dreamed. Venice gondola rides normally cost €80 but can cost more. So not only are you ticking another must-do off your bucket list, you're saving money too. 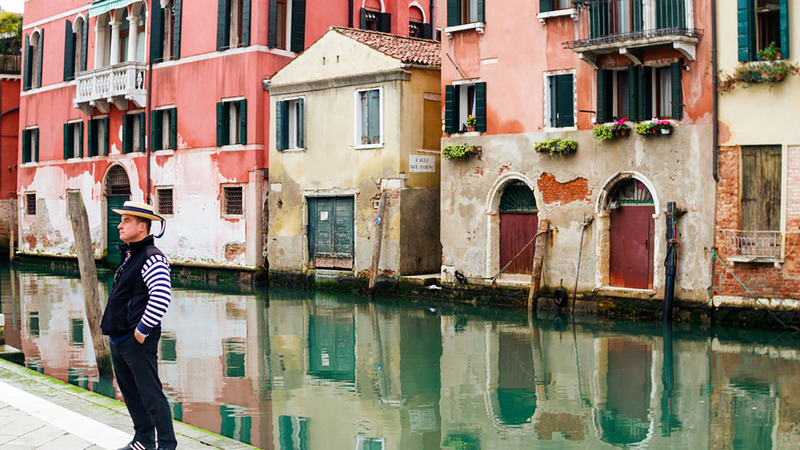 Allow us to introduce you to our Venice – a city of winding streets, stunning canals and stories untold. We had a great time and Pamela was very informative. Matteo was wonderful and provided a great overview of Venice. It felt rushed through St Marks which was too bad and while our line was pretty quick moving, it was false advertising that we had a skip the line as part of our tour. Overall would use the company again. Thanks! We thoroughly enjoyed our tour! Susan was knowledgeable, patient and keenly interested in ensuring everyone in the party was comfortable and engaged. We look forward to using your companyâ€™s services during future vacations. Susan was a wonderful guide, and we certainly enjoyed our tour with her! After your exploration of Venice, your guide drops you off at the Gondola Stand for a relaxing gondola ride. The guide will not be with you on the gondola. This tour runs rain or shine. However, please note that the gondola ride cannot operate during heavy rain or high tides. In this case we will provide an alternative itinerary. On Sundays the Rialto market is closed, but we will still visit the area. St. Mark's Basilica can be subject to unforeseen closures due to particular liturgical celebrations. In the case in which the basilica is closed, we will give you explanations from the outside. Please remember that the basilica is a holy place and attire must be appropriate: Both men and women are asked to wear clothing that covers at least the shoulders and knees. Walks of Italy cannot be held responsible for denied entry due to improper dress. Backpacks are prohibited inside of St. Mark's Basilica.